Out with the old and in with the new. That’s the story behind the transition from 32-bit to 64-bit Linux distributions. This is a move that has been happening for quite some time. Like any shift, it’s one that’s painless for some and a big headache for others. If you haven’t had to deal with this issue yet, there’s a good chance you will soon. When talking about personal computers, whether your machine’s architecture is 32-bit or 64-bit depends on the central processing unit (or CPU). Some CPUs can go even higher (even up to 512-bit), but most personal computers are either 32 or 64-bit. 64-bit computers are exponentially more powerful than their 32-bit counterparts. A 32-bit machine can handle 232 bits of data, while a 64-bit machine can handle 264 bits of data. This may not seem like that big of a difference, but wait until you crunch those numbers out on a calculator. The 32-bit architecture can support 4,294,967,296 bytes (around 4 gigabytes), while the 64-bit architecture can support 18,446,744,073,709,551,616 bytes (around 18 billion gigabytes). 64-bit personal computers became available a few years into the new millennium. If you are about to buy a new computer, or you bought one in recent years, then chances are you have a 64-bit machine. Your computer’s amount of random access memory (RAM) is one indicator. 32-bit machines can’t handle more than 4GB. If your laptop has 8GB, then it’s 64-bit. Software has to know how to communicate with hardware in order to take advantage of this difference. So while a 32-bit version of an operating system can run on a 64-bit PC, it cannot utilize all the extra power. On the other hand, a 64-bit version of an operating system can’t run on a 32-bit PC at all. While most new PCs come with 64-bit architecture, Linux isn’t only used on modern hardware. Many people use Linux to breathe life back into older machines. For that reason, many distributions provide both 32-bit and 64-bit versions for download. This isn’t a situation unique to Linux. Windows also comes in 32-bit and 64-bit versions What's the Difference Between 32-Bit and 64-Bit Windows? What's the Difference Between 32-Bit and 64-Bit Windows? What's the difference between 32-bit and 64-bit Windows? Here's a simple explanation and how to check which version you have. Read More —even Windows 10! Microsoft wants its desktop to run on older or underpowered hardware. Ubuntu, the most popular version of Linux for desktops, stopped releasing 32-bit versions in 2017. A year later, variants like Ubuntu MATE, Ubuntu Budgie, and Kubuntu followed suit. openSUSE Leap doesn’t do 32-bit versions either. elementary OS did not make a 32-bit version available with the release of Loki in 2016. A newer Linux distro called Solus never offered a 32-bit version. Arch Linux recently stopped supporting 32-bit versions (but there are many reasons to keep using Arch Linux). Why? 32-bit architecture is increasingly rare. Whether due to a need for higher specs or due to hardware failure, many people have replaced older machines. When distributions announce plans to drop 32-bit support, relatively few (if any) people complain. Linux distributions have limited resources. 32-bit versions need someone to maintain and test them. At the same time, teams often target other hardware architecture, such as ARM. With 32-bit images getting fewer downloads, it becomes harder to justify making that effort. Again, the gradual shift from 32-bit software is not unique to Linux. Mac OS X 10.6, released in 2009, was the last version of Apple’s desktop operating system to run on 32-bit hardware. In macOS 10.13, Apple began phasing out support for 32-bit apps How to See Which 32-Bit Apps May Stop Working on Your Mac Soon How to See Which 32-Bit Apps May Stop Working on Your Mac Soon If you use a Mac, you should know which apps on your system are 32-bit and likely to run into compatibility issues soon. Read More . The company no longer accepts new 32-bit apps in its Mac App Store. What About 32-Bit Linux Apps? Desktop software has also begun to move on, with some app developers ending support for 32-bit architecture. Google, for example, no longer releases a 32-bit version of Chrome for Linux. Other companies have started to release only 64-bit versions of their apps. Keeping some 32-bit versions of Linux software patched can be a struggle. This is one of the more important security concerns on Linux desktops 4 Surprising Linux Security Issues You Should Be Aware Of 4 Surprising Linux Security Issues You Should Be Aware Of They say you should use Linux if you want security. That might be true, but you still need to be on your toes! Read More . Ultimately, an operating system isn’t very useful if enough of the apps you want aren’t compatible. 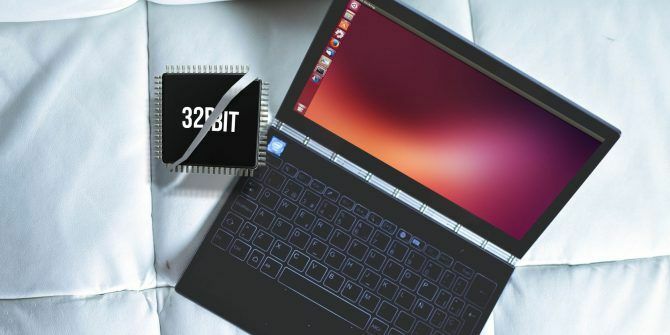 A fair amount of Linux software still runs on 32-bit hardware, but that may not be the case for much longer. Is 32-Bit Support on Linux Over? In Ubuntu’s case, you can still use 32-bit hardware if you install version 16.04 (a long-term support release) and upgrade from there. 16.04 is officially supported until 2021. You will continue to receive software updates for as long as the Ubuntu team continues to maintain 32-bit versions of apps and packages. Many other distros still provide 32-bit versions for you to download. Debian, the distro Ubuntu is based on, still provides a 32-bit option. 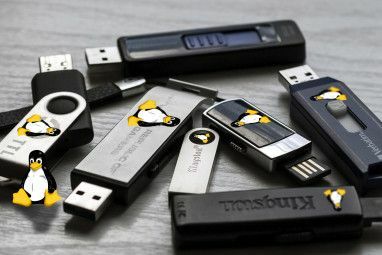 There are also many Linux distros that specifically target older hardware 13 Lightweight Linux Distributions to Give Your Old PC a New Lease of Life 13 Lightweight Linux Distributions to Give Your Old PC a New Lease of Life These flavors of Linux are light on CPU and RAM, meaninig they run great on older and weaker devices! Read More , which includes making 32-bit support more of a priority. 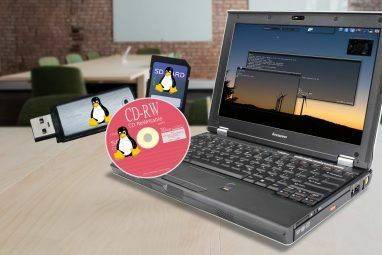 And even long after most major Linux distros have decided to 32-bit hardware behind, you can expect there to be a niche distro out there for relatively ancient devices. That’s simply how the Linux world works. 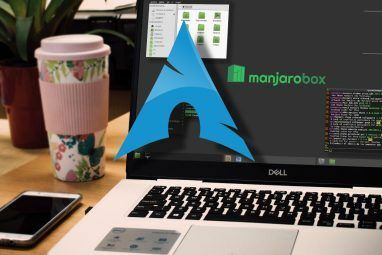 Linux isn’t forcing you to give up your 32-bit apps, but some of the more modern distros are making that effort. If you want the newest experience open source desktops have to offer, you may soon want to retire an aging PC. I know this may be frustrating if you switched to Linux just to keep your aging PC alive forever. But even if you’re not particularly concerned about the latest features, you may increasingly encounter bugs or other frustrations that stem from lack of support 6 Reasons Your Favorite Linux OS Is Plagued by Bugs 6 Reasons Your Favorite Linux OS Is Plagued by Bugs You found a new Linux operating system to try, and you loved it. But then it went wrong. Sometimes Linux gets buggy after a month or two. The question is, why? Read More . While this is decent information, I feel that it's aimed at new linux users and home users only. "...32-bit machines can’t handle more than 4GB." Wrong. Many 32-bit CPUs released close to the first 64-bit CPUs featured PAE (Physical Address Extension); this got very little press coverage since Microsoft refused to enable it in Windows outside of Server editions. Seven or eight years ago I did some research to see if my four older laptops could be updated from 32bit to 64bit with a newer CPU, and yes they all could. I went to YouTube to see how each laptop could be broke down and have the cpu replaced, then ordered the used cpu's and upgraded wifi cards and Memory strips on eBay, then tore apart the laptops and did the upgrades and Ka Boom. All four are back in the game and faster than ever and able to use any 64bit Ubuntu/Linux distro. Do not lament the loss of your favorite 32bit distro, you can do it too. Don't forget, the beauty of open source is that you can compile updated apps from source code. I know that many of the new distros install everything automagically, but building for 32-bit shouldn't be too difficult, unless the developers include 64-bit dependencies. That may be true but not everyone has the expertise to compile apps from source. With the disappearance of 32-bit distros, I am about to release about 20 PCs into the e-waste stream. Interestingly, I have had two 64-bit machines go belly up on me in the last couple of months while all my 32-bit PCs keep humming along. Even couple of i386s. There is another big reason to use 32 bit Linux that did not get discussed and that's space and memory optimization. If the machine or virtual machine is only ever going to have 4gb or less of memory then there is no reason to have applications compiled with 64 bit support which means they take up about half as much storage space which may be at a premium on a web hosting cos for example, it takes up less ram as well because memory doesn't have to be addressed in 64 buts which means you can use half the address space making apps use less ram. Even if you use a 64 bit CPU it can still be advantageous to use 32 bit Linux to save space and thus money.